It is 1876, the year of the Centennial in Philadelphia. Katherine has lost her twin sister Anna in a tragic skating accident. One wickedly hot September day, Katherine sets out for the exhibition grounds to cut short the haunted life she no longer wants to live. 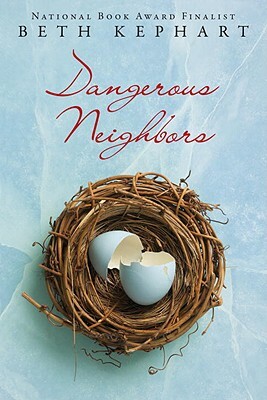 Filled with vivid detail that artfully brings the past to life, National Book Award nominee Beth Kepart's DANGEROUS NEIGHBORS is a timeless and finely crafted novel about betrayal and guilt, hope and despair, love, loss, and new beginnings. Beth Kephart is the author of 10 books, including the National Book Award finalist "A Slant of Sun"; the Book Sense pick "Ghosts in the Garden"; the autobiography of Philadelphia's Schuylkill River, "Flow"; the acclaimed business fable "Zenobia"; and the critically acclaimed novels for young adults, "Undercover" and "House of Dance." A third YA novel, " Nothing but Ghosts," is due out in June 2009. And a fourth young adult novel, "The Heart Is Not a Size," will be released in March 2010. "The Longest Distance," a short story, appears in the May 2009 HarperTeen anthology, "No Such Thing as the Real World." Kephart is a winner of the Pennsylvania Council on the Arts fiction grant, a National Endowment for the Arts grant, a Leeway grant, a Pew Fellowships in the Arts grant, and the Speakeasy Poetry Prize, among other honors. Kephart's essays are frequently anthologized, she has judged numerous competitions, and she has taught workshops at many institutions, to all ages. Kephart teaches the advanced nonfiction workshop at the University of Pennsylvania. You can visit her online at www.beth-kephart.blogspot.com.